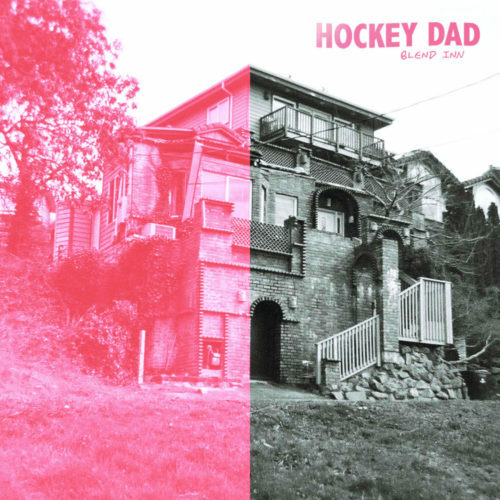 In 2016, Hockey Dad released one of the year’s most entertaining album with Boronia. It was surf-rock with a punk twist, and they brought the sweaty mosh pit to the sandy shores of their hometown Windang. Their sophomore effort, Blend Inn, retains their signature sound, but Zach Stephenson (guitar/vocals) and Billy Fleming (drums/vocals) strike a more serious tone in their songwriting. Written and recorded around their non-stop touring scheduling, the cleverly-titled Blend Inn revolves around the notion of constant movement, generally away from what was and towards what is to come. The journey, however, is both physical and metaphysical, as the duo confront their vulnerabilities and changes and all the things they’ve left behind. The result is a more mature record built around the content, but the entertainment factor that made them one of Australia’s favorite groups remains. The combination is revealed on the LP’s opening three songs. The triad commences with the introspective “My Stride”, which bellows of Japandroids’ anthemic garage rock. Stephenson’s lyrics nod to the past and future, where he and Fleming (re-)take control of their lives. They look outwardly on the catchy “Homely Feeling”. While at first the song seems like an ode to home, the pair quickly turn it into a political track. Namely, contentious issues such as gun culture and racism are referenced. It’s a surprising tune from a band whose music we’re use to just rocking out and having a good time. Meanwhile, the gritty rocker “I Wanna Be Everybody” delves into social issues (possible social anxiety) of not fitting in. But like in most of their songs, a positive message is embedded – that there’s always a friend available to help you. Even on the tracks that sound like vintage Hockey Dad – such as “Sweet Release”, “Stalker”, and “Join the Club” – the duo still strike a chord with their words. On the latter, they immediately share, “There comes a time within your life when you would do. Absolutely anything they ask from you.” The lyrics do not solely apply to those in the music industry wanting the pair to fit a certain image. They also are pertinent to the ruling idea that one must conform and leave their individuality behind to get ahead. The band enter new waters with The Walkmen-esque, melodic rocker “Danny”. It’s the rare track that sees Hockey Dad look behind and stay there, as they share a tale of one person holding onto a memory. But just as they seem stuck in reverse, they step on the accelerator on “Where I Came From“. Pulsating with the smooth indie-rock vibes of England (think Echo & The Bunnymen), Stephenson and Fleming express their desire to keep moving. They have no desire to return to where it all began and where others may be waiting for them. Instead, Zach Stephenson and Billy Fleming’s sights are set on the next adventure that awaits them, which could yield another transformation. Wherever they go, they will be looking forward and seldom into the rear-view mirror. And maybe by then, they’ll have settled in and blend in with the rest. Blend Inn is out now via Kanine Records. Head to Bandcamp to buy it.